My team leader did this technique with Stampin' Up! 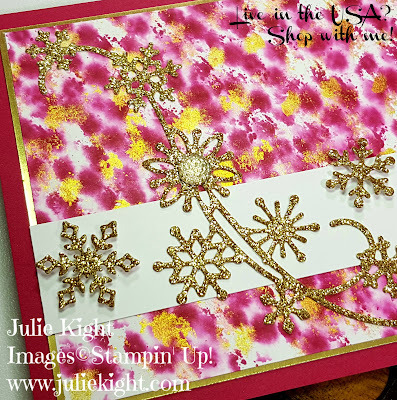 's Glossy paper, but I wanted to see if I could use the Whisper White cardstock and it worked!. You just use a cotton ball, rubbing alcohol, a re-inker in your choice of color and one of the Shimmer paints. You start by putting some rubbing alcohol on your cotton ball, then drop 3-4 drops of the re-inker on top. Then placed 2 drops of the Gold Shimmer paint on as well. 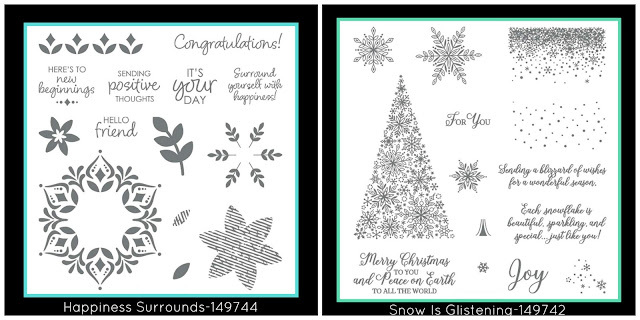 Now take your cotton ball and dab onto your Whisper White cardstock until you achieve your desired look. 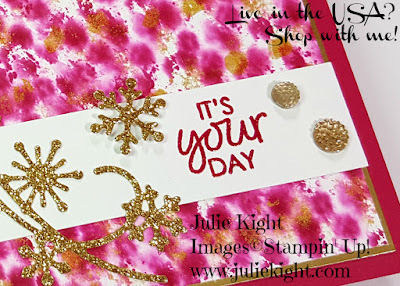 I decided to use the 2018-2020 In Color embossing powder for the sentiment for more texture and shine. 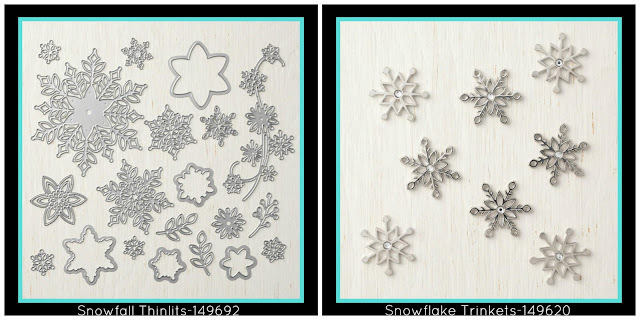 I die cut some of the snowflakes in the Gold Glimmer paper which is so amazing as it hardly leaves any glitter all over you, your desk, everywhere! I also placed several of the Gold Faceted Gems around my sentiment and snowflakes. 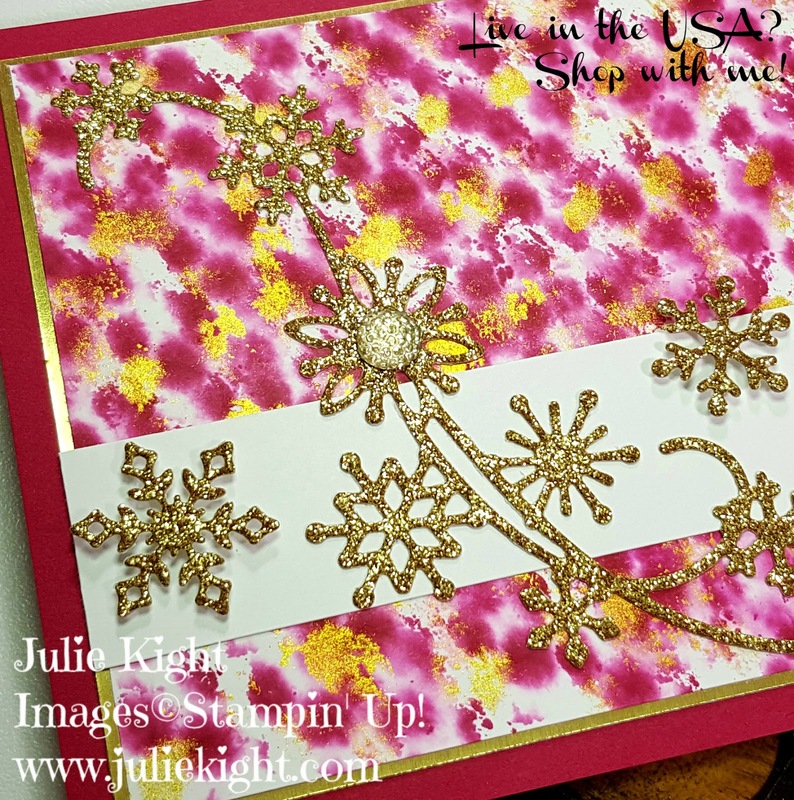 I also stamped the inside and die cut a few of the snowflakes to place inside as well in Lovely Lipstick which is such a beautiful warm pink color. 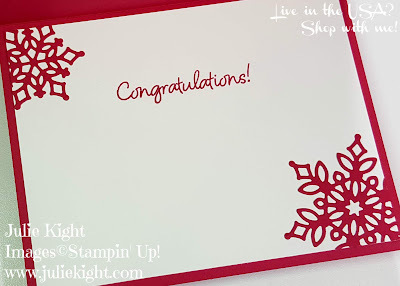 I hope you enjoyed this fun coloring technique with the new Shimmer paint from the Holiday catalog and thanks so much for looking at my post!